Razor said it was just a normal ball, though. That's a good point. 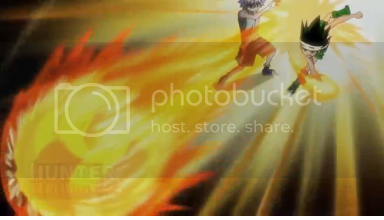 I mean, Razor protects it with his own aura when he throws it (and as an emitter, he'd be good at it), but what about when Gon punches it out of Killua's hands? If he held it in his hand, sure. But he's punching it. Also, his aura would quickly lose power after disconnecting from his body. Enhancement is only one step away from Emission, so it's not like Gon would be terrible at keeping the aura around the ball after it leaves his hand. Note that Killua is one step away from Enhancement yet still better than Gon at most Enhancement activities other than Gon's special move, like breaking rocks or jumping. Gon probably just hasn't thought about it at all. I still think the ball is special though. Killua said is weighed as much as a bowling ball, and Razor's "normal ball" comment was made in comparison to an exploding ball of nen. The ball is not designed to kill you. So far, I always seen Tsez as an enchancer. Why else would he demonstrate his Ren by enhancing his jump. Question: If you're a manipulator like Shalnark or Ilumi, and was asked to show your Ren, What would you do? The ball isn't tough. It's just a ball. The force of Rock is passed on to the ball which then hits the target at full force. Enhancement is only one step away from Emission, so it's not like Gon would be terrible at keeping the aura around the ball after it leaves his hand. With training, sure. 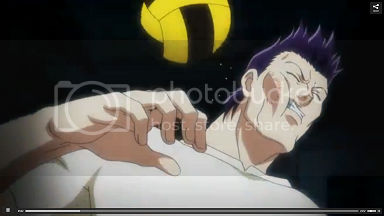 But right now he can't even reliably throw a (tiny) nen ball away. What I wouldn't do would be to show my actual ability. Tsezugera didn't either, for that matter - he just showed some generic move that demonstrated he was well trained, but didn't really reveal anything about his abilities. I don't think that's how Rock's supposed to work. It just hits something very hard. Else he wouldn't need paper, would he? Fact of the matter is, he did use Rock. And yes, he did hit the ball very hard. Which is why the ball went flying. Very hard. While at the same time being charged by the aura used in the punch. I view it like, the aura "snapped" from Gon's fist to the ball. Emission doesn't have a lot to do with it. It's already been stated that aura can pass to objects. I mean, it's not like Nen has to obey the laws of physics or anything. No, but it does have to follow its own rules. Having your aura work at a distance (not like Hisoka elongating his, but actually disconnected like Razor's or Franklin's nen projectiles) is Emission. Aura doesn't just jump from a body to an object. 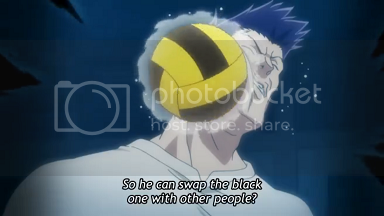 It has to be an act of will ("treating the object like a part of the body"), which isn't exactly compatible with punching it unless the aura has special properties (like Hisoka's bungee gum) or, I suppose, some special training - which Gon hasn't had. It's all he could do to develop is Rock move. You're acting like the ball was supercharged with aura for hours. By the way, I'll admit I'm making up these explanations as I go. Because I never actually questioned this. And I still don't. Seeing is believing. I mean, if I kick against a football, the force I put into the ball with my foot is transferred to the ball, which is why the ball goes flying. The same concept applies here. No, I'm acting like his Paper was pretty pathetic. It's not about time, it's about distance. And about the fact that, well, a special move isn't really supposed to have that much flexibility - it's the point. By putting restrictions on it, you make it more powerful. And at the time he designed Rock, Gon just thought "I need to be able to punch things very hard", not "I want to be able to use projectiles". By the way, I'll admit I'm making up these explanations as I go. Because I never actually questioned this. Neither did I, till now. And if you shoot it with a tank's main gun, you destroy it. Gon cannot just transfer aura to the ball just like that in a split second. If he can do then he wouldn't need to train emission at all. When Gon hits the ball force is transferred sure but aura is not. 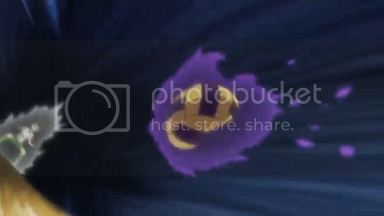 ^except that it has been clearly shown that they do transfer their aura and it stays with the ball. also the court seems to be special in allowing aura to be transferred to the ball efficiently, as Hisoka said "if the ball travels outside the court it becomes much less powerful". it seems goreinu was at a disadvantage throwing from outside the court,at least power wise, but he still hit razor due to position advantage. goreinu didn't even show any significant time charging his aura. 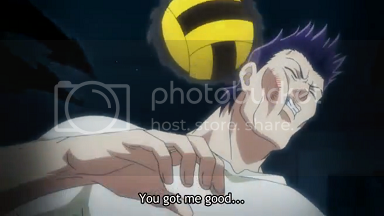 one curious happening: due to goreinu's transfers, black gorilla ended up in razor's side of the court (even before the ball was thrown)wouldn't that be some kind fault. i wonder. It is reasonable for other people to transfer the aura to the ball since they actually holds the ball and then throws it but Gon only had contact for a split second. ^ that is why I added pictures/screen caps and you still deny what you see? I know what it shows what i am saying is it doesn't make sense. 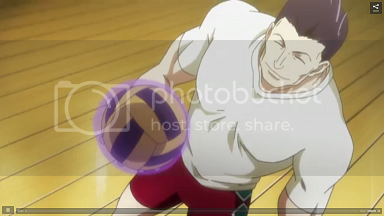 Also if you have missed it in my previous post, the court seems to be special as it allows efficient aura transfer to the ball as Hisoka surmised. Tank shells aren't a near-magical force that can make wacky stuff happen. The ball only needed a tiny percent of Gon's aura to keep it from being destroyed while at the same time launch it at incredible speed. The ball's bounciness also helps a lot in this case. If it had been a rock, it would have exploded. 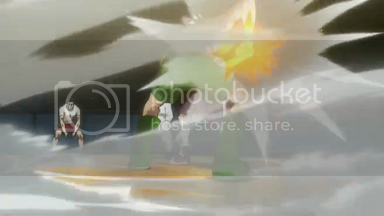 The ball that hit Razor already had most of it's initial nen dissipated from Gon's impact. If Gon had been an actual emitter, with that massive amount of Ren, the ball would have skewered Razor's body, went right through the building, and flown for miles out to sea. Reached 100 supporters! Thanks to anyone that signed up here but we aren't close to done! Last edited by HybridBloodsZak; 2013-03-12 at 21:31.